When my first son Henry was little, I didn’t really do any babywearing. I don’t really know why because I certainly did a lot of baby carrying. I always have liked the concept of babywearing. The idea that you can have your baby close but keep your arms free and not destroy your posture entirely. I have psoriatic arthritis which means that putting excess strain on my joints isn’t good so carrying a growing baby in my arms isn’t at all ideal! I’ve been using the BabyBjorn Baby Carrier One Air for the past few weeks in an attempt to save my arms, but I’ve realised there is so much more to it than that. 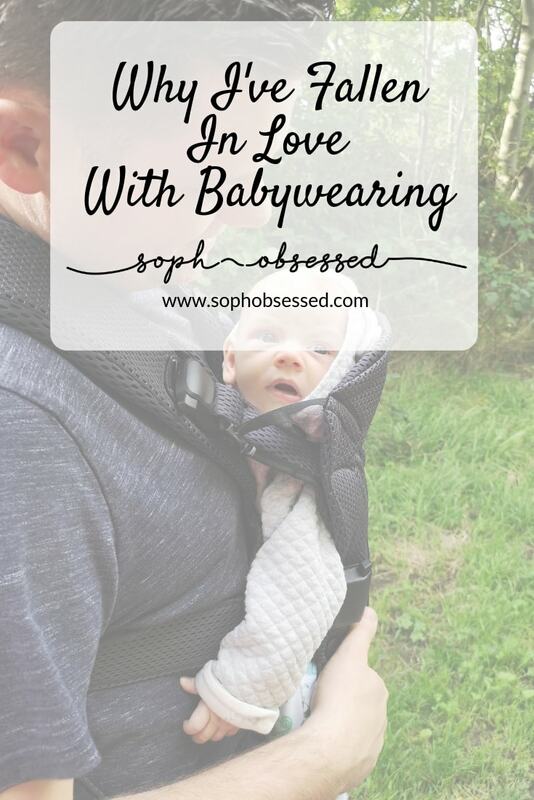 Why have I Fallen in Love with BabyWearing? When you first bring a baby home, you have this instinct to protect them. It’s like a fierce force from within that can turn you into a fire-breathing dragon at the slightest threat. I’ve always been one to enjoy holding my baby close. Feeling them relax into you wholly secure and safe is a feeling like no other. There are times when nothing will soothe Hugo apart from being close to me and although I love that it’s not always ideal. I’m a mother of two now, and although my first baby is now seven, he still requires my attention at times, and it’s hard when my arms are filled with Hugo. If I’m honest, doing anything other than tending to Hugo has become difficult as my arms are always occupied! This has resulted in work, home and the rest of my family taking a back seat which is neither fair nor ideal. Sometimes it feels as though I am spreading myself too thin and as though I don’t have enough hours during the day. Hugo is suffering from silent reflux which means that sometimes trying to put him down is impossible. He requires being held upright to feel comfortable, and that just means more time in my arms! That’s why I have recently fallen in love with babywearing. It gives me all the beautiful attributes of holding my baby close but the added benefit of having my arms free to tend to other things. It means I can clean, write work emails and most importantly be a mother to Henry by reading him a bedtime story or helping him with his homework. Another huge bonus has been the relief babywearing has given my body. Carrying a baby around continually does nothing for your posture, and since my arthritis flared up, I need as little strain putting on my joints as possible. One thing that made me nervous about babywearing was that both Hugo and I would get too hot. Babywearing was a great solution to my dilemma, but if it just made us both hot and uncomfortable it wasn’t going to be ideal! This is why I’ve been babywearing with the BabyBjorn Baby Carrier One Air which is made from a 3D airy mesh that helps prevent that. It just ticks all of the boxes for me in regards to what I am looking for in a baby carrier. The carrier itself is soft, flexible and lightweight. It’s well designed and ideal for daily use, and there are many different babywearing options for both front and back wearing. You also don’t need to worry about your young babies hips as the seat position is adjustable and means the legs are put in an ergonomically correct position and are correctly supported. Most importantly its safe and secure which is reassuring as a parent! You could say I am absolutely a baby wearing convert. 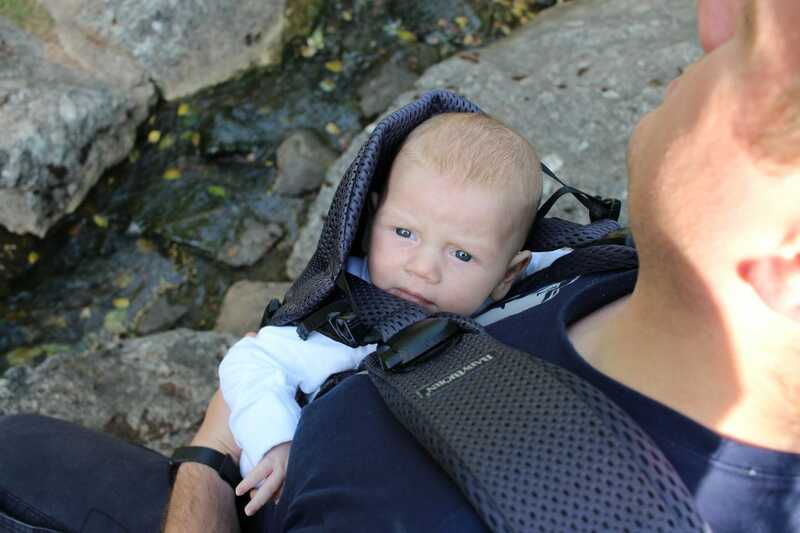 I couldn’t imagine having a baby with reflux and not having the BabyBjorn Carrier. Babywearing has given me some of my independence back while still allowing me to offer Hugo comfort and reassurance. This period won’t last long, and hopefully, he will grow out of his reflux issues soon but in the interim, anything I can do to help comfort him is so important to me, and it’s even better if I can do that while still maintaining the other elements of my life. The BabyBjorn Baby Carrier One Air is well made, secure, comfortable and most importantly doesn’t cause me or to Hugo overheat! Although Hugo is too young for back carrying, I love that using the same carrier I will have the option to carry him in different positions as he grows. 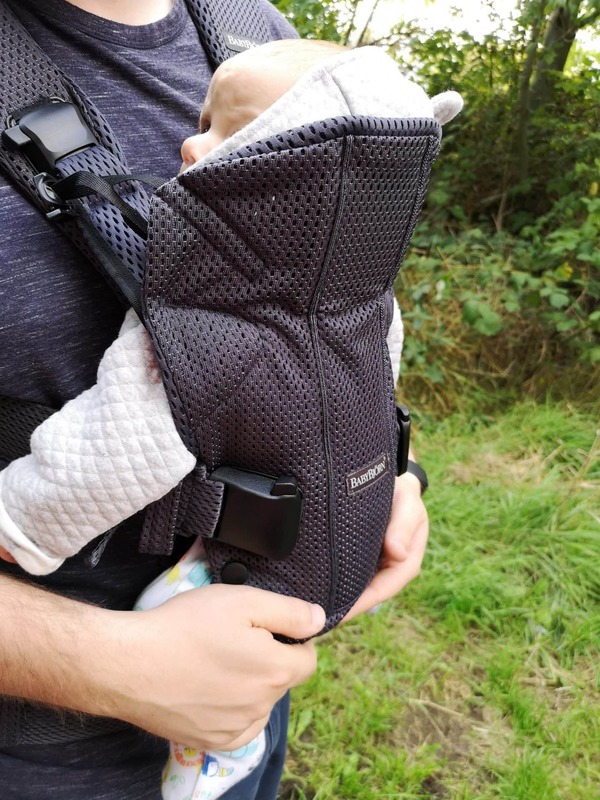 One of my favourite features has to be down to the fact that it is fully adjustable which means that both myself and my husband can wear the carrier and it feels like the perfect fit! 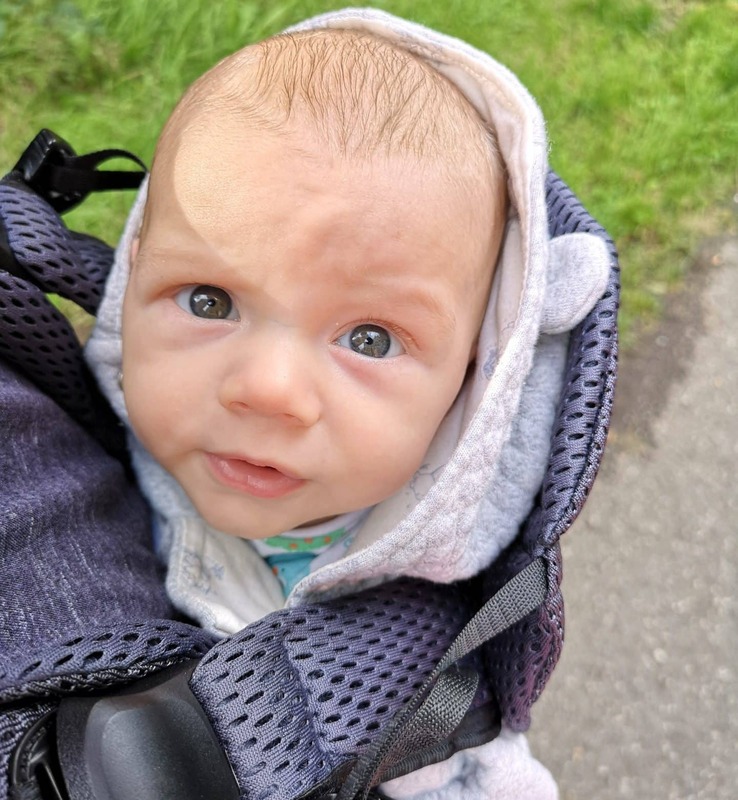 It might sound ridiculous but having a good quality baby carrier has opened a few doors for me and meant that I can take Hugo out and about without the need for the pushchair which can make things so much easier. Hugo really likes babywearing using the BabyBjorn Baby Carrier One Air. He often falls asleep or enjoys looking around if we are out and about. The position is perfect for keeping him upright too which is really beneficial for babies that suffer from reflux. 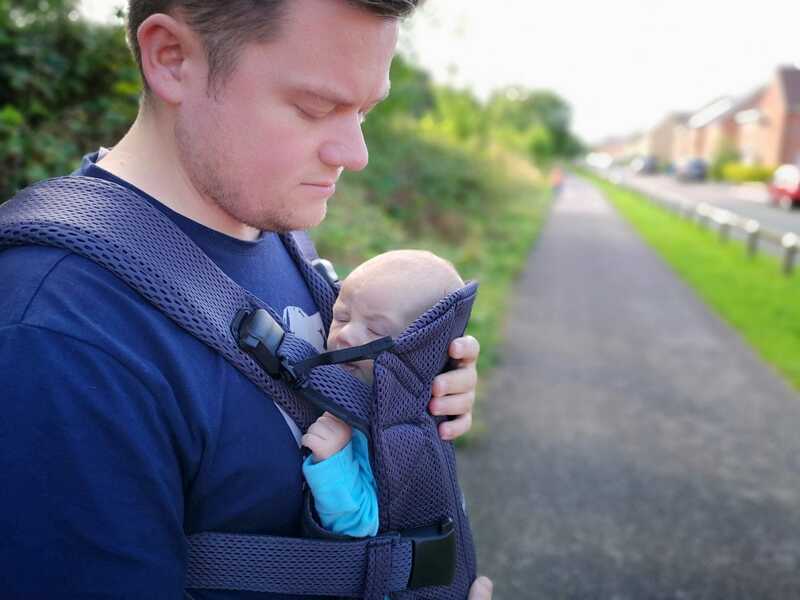 Priced at £159 the BabyBjorn Baby Carrier One Air is an investment however it can be used up until around 3 years which means you will get your moneys worth of use out of it. 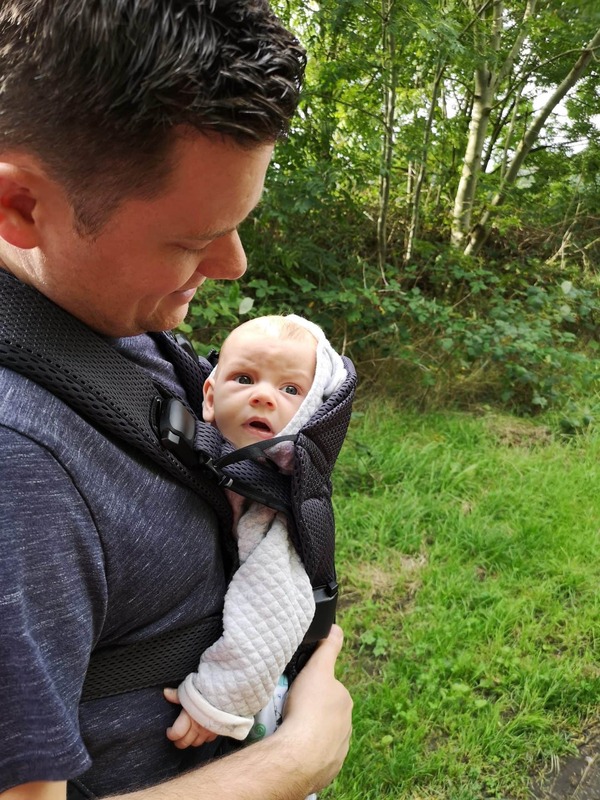 Using the carrier for the first time can be daunting, and I would say it took a couple of uses before I was confident putting it on and off alone however it is easy once you get the hang of it. You can find out more about BabyBjorn and the BabyBjorn Baby Carrier One Air on their website here. Have you ever considered babywearing? I’d love to know your experience! If you want to know more about me head over to this page. Do you like posts like this? It’s free and easy to follow me on Bloglovin. Don’t forget to check out my Instagram, Facebook, Twitter & YouTube channel. Links marked with * are affiliate links this does not cost you anything. For more information on any of this please head over to this page. 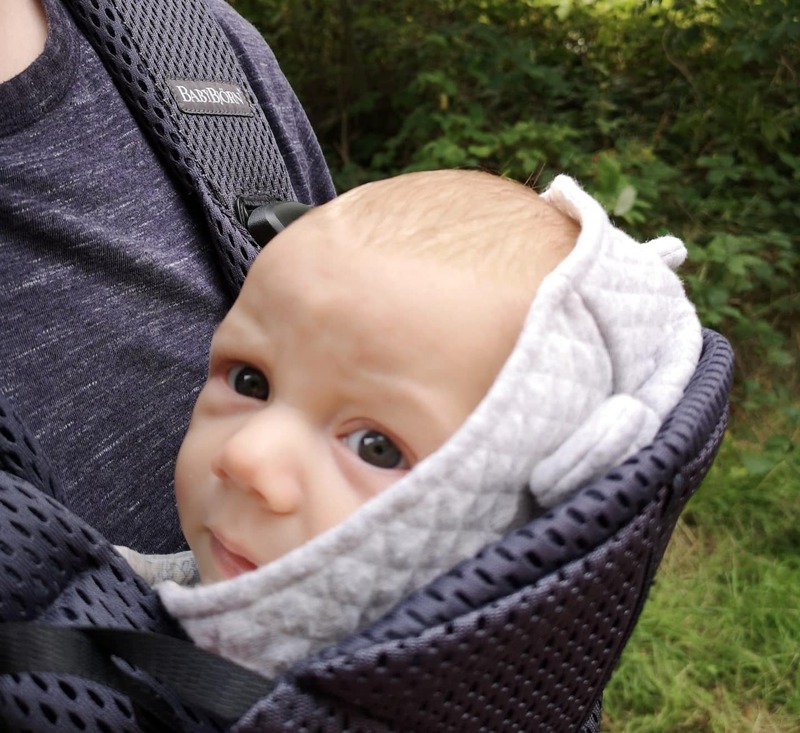 *We were sent the BabyBjorn Baby Carrier One Air on a gifting basis in return for an honest review. As always all words, views and opinions are my own. Links marked with * are affiliate links this does not cost you anything. For more information on any of this please head over to this page.